This Shopify seo guide will help ecommerce store owners and their marketing team improve their rankings and organic traffic. Reviewing your key store metrics helps you as a Shopify business owner to understand where your online business stands today. Log into Google Analytics, select Acquisition, then select All Traffic and then select Channels. Then set the date range to the last 12 months or January to December. Using the data in the first row of the report, enter the following information on a document or spreadsheet like this example. If you have not set up Google Analytics for your Shopify shop, here is the guide. Once you know where you are today then you can set a goal and plan to get there. It is very easy to obsess over one sales channel such as social media. This channel analysis allows you to objectively compare and contrast traffic, revenue and conversion rates by organic search, social media, paid, direct and email. You can do this in Google Analytics – Acquisition – All Traffic – Channels – set the date range to the last 30 days; or look at the last 12 months. You want to create a little spreadsheet like this to compare conversion rates by your traffic sources. Using the example above, 41,460 organic visits are delivering £13,234 monthly revenue. You, as the business owner and your marketing team, need to ask yourself if you want to increase your traffic from the search engines to grow revenue. This assumption is based on your current conversion rates; which you will want to improve as a separate project. Write down a new goal for search engine traffic. Let’s say your goal is grow your search engine traffic by 100%. That’s a growth in search engine traffic from 41,460 to 82,920 per month. If the same traffic to sales relationship were to continue revenue would grow from £13,234 to £26,468 per month. The next question is how do you grow your traffic from search engines ? Google provide free seo tools including Google Search Console (formerly known as WebMaster Tools) so that you can dig further into your website performance. If you don’t have Google Search Console set up with Shopify, read this tutorial. Google tend to favour pages that are already indexed in the search engines. Therefore if you can improve already ranked pages you can expect faster improvements in search engine optimisation and organic traffic. You can review your best ranking pages with Google search console. Log in to Google search console. Look for the Performance section. Now you can see your top 10 pages (ignore your home, index or / page url). Select the page in the second or subsequent positions. What does an analysis of your best ranking pages show you ? 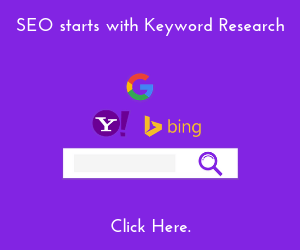 This analysis will show you the clicks and position of your best keywords on each page. What you do with this data? Copy or write down the top search query so that you can begin the process of improving your existing page. In this article I’m proposing you improve one page or collection at a time. When you completed this process for one page then move onto completing the next page. Google Keyword Planner is used for target and local advertising purposes and gives a false representation of search volume. Google bundle related keywords together. Also, free keyword research tools like Keywords Everywhere don’t show you the number of clicks, the top ranking pages get or how difficult it is to rank in the top 10 search results. If you are using free keyword research tools (or worse, no seo tools) you are stumbling around in the dark. Go to Ahrefs.com, log in or take out the $7 trial for 7 days. Select keyword explorer and paste in the top search query from the previous step and hit return. You will see at the top of the report 4 metrics. Search volume – 1400 searches per month. Clicks – 2100 clicks to the top pages per month. And the parent topic and its search volume. Now scroll to the bottom of the report and look at the top ranking pages. Traffic column – this tells you how much organic traffic the top pages get each month. Domains – this tells you how many websites point to each of the top ranking pages. DR – this metric shows the strength of ALL backlinks to the top websites on a scale of 0 and 100. Typically websites with a high DR score rank higher in Google than those with a low DR score. Notice that websites in positions 3,4,6,7,8 and 9 have either 0,1 or 2 links to their page. Now count up the traffic of the top 10 pages and divide by 10 to get the average traffic for ranking on page one. In this example, on average, a page in the top 10 earns 5715 visits per month. Ranking in the top 10 would deliver an additional 5715 searches per month. Our goal was an additional 41,460 organic visits per month. This keyword research has shown there is the opportunity that will move us 14% closer towards our goal; from one collection page improvement. How you can use this information? If the current page is getting 189 visits per month. The top ranking pages earn, on average, 5715 visits per month. The research highlighted keyword difficulty is low with the top 10 pages only having a few links to their pages. What tactics can you pursue to improve our existing page? First, I’ll provide a tactic to improve the quality of your pages and then I’ll outline 7 link building strategies to help better rank your website and pages. Google believe other pages better answer the users search queries. The pages in the top 10 results have more links pointing to them. The websites in the top 10 results are more trusted and authoritative than your website. We need to understand if the user intends to purchase or they need an answer to their question. The user wants the best answer and we can do that by finding out if we are missing words and phrases that the top ranked pages have on their page. Compare your page content to top ranked pages. 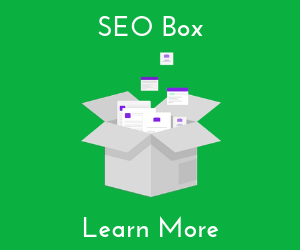 Enter your url into a keyword density seo tool. The top ranked website has more words per page. Now compare the 2 words and 3 word phrases. You can begin to detect phrases that are not used enough, new phrases that need to be included and phrases that are not relevant that need to be removed. In my example the top ranked website has 48 products on the page compared to the other website that has 8 products. If you have less products than your competitors, you will have less phrases on your page and therefore you will likely rank lower. You will need to improve the content of the page to ensure the most important keywords are used with reasonable frequency. Use this free keyword density tool to gain insight to the page content you already have. The keyword density tool can also help guide your Shopify search engine optimisation efforts to getting what you actually want and need on the page. To overcome the lack of content on your collections pages, you can integrate the Feefo product review tab below your collections of products. This content will enhance the word count and page quality. Additionally you can insert content tabs underneath the list of products like this website. Use EasyTabs Shopify App to insert tabs on your collections. Now create the content that is missing and that other top websites have. If Nike can add content below the fold on their collection pages, so can you. The page title tag provides users with a summary of your page before they click your listing and the description describes the page in more depth. Whilst these 2 on page factors aren’t major ranking factors they can boost your positions in Google and your click through rate if you are ranked on page 1. Here’s a collection page that ranks in the top 10. Here’s a preview of the current page title and description. Here’s a version of the page title and description I would re-write. I’ve analysed the keywords the page ranks for. I’ve done additional research to see if there are opportunities the page is missing. Copy and paste the names of the products into a list or spreadsheet and identify frequently used words, phrases and numbers. The product prices – $26. The product contains 12 items. Then I looked at top ranked pages titles. Only the number 1 ranked page contains a number. None of the ranking pages contain a price. But Google Shopping Ads include the prices. So I decided to include a number and price in the new suggested page title. Now write the page title for a person; like a title of a book or a chapter in a book. Remove the | and – characters and remove your brand name from your page title. Shopify hide this feature; to find it go to Products – Collections – select your collection and scroll to the foot of the collection. Look at the section titled Search engine listing preview and hit the edit website SEO button. Shopify are super helpful to tell you that you have 70 characters for the page title and 320 characters for the meta description. In the page title box you can write or overwrite the existing title. The title tags are the most prominent page information the search engines deliver to the results page after users have made a search query. The page title is an important attribute as it provides Google with an understanding of the content of the page. Your main keyword should be at the start of the title tag and you have 55 characters to write a persuasive title describing your page. A page’s meta description is like a mini advert that helps the user click on your listing instead of competitors. Again your main keyword should appear at the start of the meta description. In this example, I enhanced the collection title by adding in product colours. I reviewed the names of the products listed on the clients collection page. I copied and pasted all the product names into a Google Sheet. I looked for the most common words; which were names of colour and incorporated the product colours into the title and description. The page url is a ranking factor. When you make the url too long you make it difficult for Google to crawl your pages. In addition, when you have a long url you restrict your ability to rank the page in the future when you upgrade the page content. Why not just have – /mens-fashion-trends and exclude the year. Google will look at the year in the url and consider the page concerns the year 2017. So if you update your page about trends in 2018, you restrict your ranking ability. Instead, put the year in the page title. Using the wrong URL for your product collection. Here is example of a Shopify store selling a collection of ladies bags. Looking at the products we can see they are all Tote bags. From keyword research there are 11,000 searches a month for this query with a low keyword difficulty. You can do a simple google search for tote bags. Scroll to bottom of the page and look at searches related to. The page title and description should include these phrases. Follow the same process used early. This time we need to change our URL from /collections/sabai to /collections/tote-bags. Now create a new collection or rename the current collection. 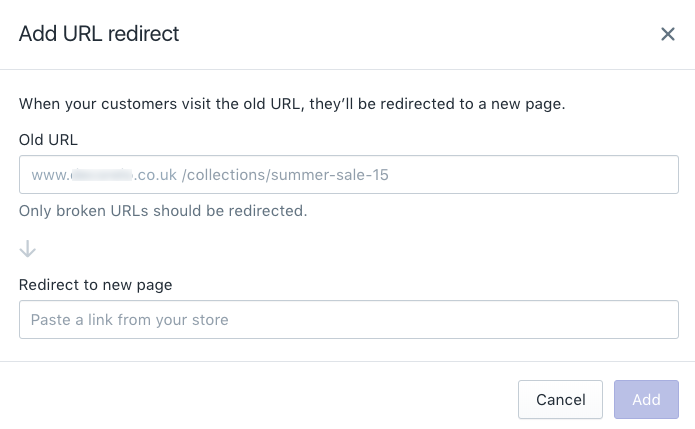 If the existing collection page already has backlinks pointing to it, when you change the collection URL and Shopify will, by default, created a 301 redirect for you. The proposed collection url, title and description looks like this. The 301 redirects features is hard to find in Shopify. Use 301 redirects when a page, collection or product no longer exists. If you moved your shop to Shopify you would redirect the old site url’s to the new Shopify urls in order to maintain your page rankings and backlinks. Ideally you want to add some sales related words to your page title and description – buy, best, x% off. Then you want to enhance your page content with over 1000 words. You can enhance the page word count by adding Feefo product reviews; consumer generated content will minimise additional content writing or costs. I recommended adding tabbed content for product details, shipping, reviews and questions. Next add some related words and phrases to your page content. How to add LSI keywords to product pages. Go to Amazon and search for the name of your product. In this case, orange beach bag. Look for words that commonly appear. Ladies and Womens appears 6 times. Then make sure that the wrong words do not appear on your product page. Kate’s product is a beach bag but she has a tote bag collection and tote bag products. So she should change tote to beach to make the page more relevant. URL – try and keep your product urls short and don’t just accept the default url Shopify gives you when you input a new product to your Shopify store. It’s a free app for up to 50 product reviews per month. Perfect for a new shop that needs credibility in its formative months. Stars show up next to your product listing in the search results. Many Shopify store owners use Google Shopping Ads to promote their products in Google. Shopify and the Google Shopping app make running online advertising relatively straight forward. Shopping Ads appear at the top and side of the search results pushing down organic listings and images. However you can still generate organic traffic by optimising images for the search results. I have one Shopify client and 10% of his organic traffic comes from image searches. Why optimise your product images? People use the image search function to find products in Google and Google also rank images in the organic search result like this. When you optimise your product images and their alt text tag, they are likely to appear here. Hover over an image with your mouse and you will see the associated page url for each image. Hover over image and you’ll see ALT, click it. You should write the name of the product, brand name, size and colour. Login and select your property. Select Try New Search Console. Select Open Report next to the performance section. From the search type filter, select the pencil, then selection images and apply. The report will show you how many clicks your images receive from organic search. From July 2018 site speed will be a stronger ranking factor according to Google. When you consider some Shopify ecommerce websites have 80% of their users using mobile devices to access their website, speed is essential for the brand, minimising bounce rates and shopping experience. Then add this image to your product page. Go to https://gtmetrix.com/ and enter your url. The tool will analyse the speed of your website and give you a page speed score. If your score is below 70% then you need to speak to the theme designer, a web developer you trust or use a Shopify Speed App. What is website navigation and site structure? I learned from a UX designer friend that you navigate an ecommerce website the same way you navigate a high street shop. The home page is the shop window. The sign at the top tell people the name of the shop. The shop window or home page contains products and offers to draw you into the store. The store has different sections such as the mens department this way, ladies department that way. Inside a department you have different categories of product. You go to a section such as men’s shoes. You touch, feel, try on, look at the price of a product. You will undoubtedly look at other shoes and related products. You put them in a basket or carry them to the checkout. With a Shopify store your website navigation should be similar. Why is navigation and website structure so important ? 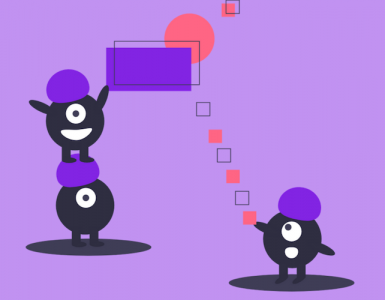 Good navigation helps the user “walk” about your shop. Good structure helps with Shopify SEO. Good site structure provides sitelinks in SERPS. Better your site structure the easier for google to crawl and index your website. How do I know if I have good navigation and structure ? Enter your url into this free tool. Your home page should be followed by your main collection at the top of the report. Most of the Shopify themes, free and paid, have been well thought out by their developers in terms of navigation and structure. So my seo tip would be test out the theme, before purchasing, in your desktop device and a mobile device as if you were shopping for the products. Experience the journey from the home page through the collections, product, basket and checkout stages. Then go back and try to find different collections using the navigation. If you find it difficult to navigate, so will users. How does good navigation and site structure help SEO? Typically your homepage will attract and gets more links. If you have links on the homepage to your main collections your home page is passing on link strength or juice. These internal links help to improve the rankings of your main collection pages. As I mentioned previously, it’s difficult to earn links to collection pages; these types of pages aren’t typically a good resource for link creators. Your collection pages will naturally internally link to your product pages (naturally built into Shopify) passing on their link juice. If your home page gets the most links and passes on link juice to your collection pages, then logically you want more strong pages that attract strong links. You want another page that attracts and earns links and then point that to a page you want to boost. These authoritative pages are sometimes referred to as power pages or shoulder pages. Since the most popular types of ecommerce websites built on Shopify are fashion, apparel, health and beauty I have found that the content these website owners tend to create is micro content. Micro content is a type of content marketing such as an editorial, lifestyle or fashion blog post with an image following by a few paragraphs of text. the average page one ranking has 1890 words per page. I have a fashion client that has 50 blog posts that don’t get any organic traffic. Their micro content is great for branding but has little organic or link building value. With all these low quality they are making Google crawl too many pages. Their type of content is ideal for social media, Instagram and Facebook, but not for their website. What they and other Shopify website owners need to create are authoritative pages, long form content, that earns backlinks and organic traffic. Here’s how Shopify website owners can create content to earn authoritative links. An ideas page a list of 48 ideas. A review of a suppliers service. A page I found that has broken links. People in your industry or related industry tend to link for 3 reasons; a resource, makes them look good, confirms what they already know, feel, think, oh and money ! A resource, helpful, something they can do themselves. Guides and insights that they quote and reference you. How to guide or menu. Broken links from fashion websites that have gone out of business. Publishing any kind of content on an ecommerce website will not land many backlinks. Only certain types of content, resources and link building strategies will earn links. Link building is a proactive, expensive and time consuming strategy but well worth the investment. Broken links are pages on websites that no longer exist but other websites still link to. Here’s a page on the GQ mens fashion magazine website. How to be a skate dad; that’s me being dragged around skateparks by my son. In the GQ article they linked to a page on Supreme New York. And if you look at the Ref Dom row in the screenshot below, there are 30 other websites that link to the Supreme New York page. What type of Shopify shop would this work for? In this example, notifying the 30 websites who linked to Supreme New York would work for another skateboard shop. Find a magazine website in your industry. Log into Ahrefs, enter the website address and look down the left column and click broken links. Then select do follow from the link type drop down menu. Under the anchor and link column, click the little down arrow key for each result. In the Ref Dom row, look for at least 10. Then look at the description of the page; if you think you could recreate a page about this subject then copy the url into a text, Word or Google Docs. This shows you what the broken pages used to look like. Now create a better version of this page on your website. Then use Hunter.io to find the website owners email addresses. Then use Mailshake.com to compose an email and reach out and offer to replace their broken link with your new page. I have a full step by step article on broken link building here. Why does broken link building work? It is human nature to act upon a problem and broken links are problems on websites as they degrade the user experience. Broken link building outreach takes less persuasive to replace an old link for a new link than other types of email outreach. What is a list post? A list post is a list of ideas to inspire your potential customers. In fashion terms, you pick an occasion such an interview, wedding, sport event or a body shape or age range and provide a list of garments that go with each other for the occasion. If your website is in health or food, then the list post might be a list of main courses that contain a particular ingedient. Why list posts work for link building. Here’s an example of fashion blog list post. This is a search for “what to wear to an interview”. Notice there are 4400 searches per month(according to Google, not Ahrefs). People make this search query because they are looking for an answer. And the top results deliver an answer. I chose the number one ranked page that has 141 other websites linking to this resource. Who is linking to this blog post? Look at the websites that link to this resource; career advice websites, universities and fashion bloggers. What is a how to guide? 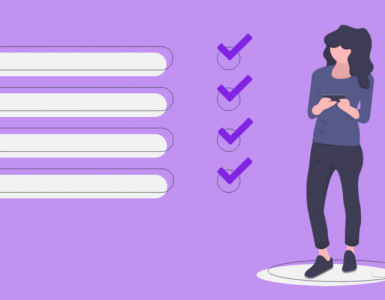 A how to guide is where you list the ingredients and detail the step by step instructions that help a user solve their problem or achieve an end result. Here’s an example of a blog post showing how to clean suede shoes that has 56 referring domains. Also notice the search volume is 6600 searches per month for the search query. Why do how to guides earn backlinks ? Google exists to provide the best answers to the users search query and how to guides are an ideal content platform to provide the solution. How to guides are great resources for other websites in your industry or niche to link to. In addition, someone searching to clean shoes may have a problem with their existing shoes and have the propensity to purchase shoes on your shop. Why do websites link to photographs ? Bloggers, web designers and stock photography websites are crying out for high quality images. Here is a fashion blogger that has 234 other websites linking to 10 high quality images on their website. Granted, some of the links are from low quality websites. Create a resource page containing all your high resolution photography. Do a Google search eg: mens fashion bloggers. Copy the list into a spreadsheet. Find the names and email addresses manually from their website. Or use a tool such as Hunter.io to identify the contact names. Use an outreach programme such as Mailshake.com to create your email outreach campaign. Introduce yourself, offer your photography as a free resource. What are guest post links? The biggest source of revenue for bloggers is to offer paid guest posts for companies to reach their audience. As previously mentioned collection pages earn very few links and guest posting can help with that. Do a google search like this : mens fashion bloggers uk. Make up a list of potential guest blog opportunities. Ask for their media pack, rates or analyse the traffic to their website. Propose a content idea for their website. Once they have agreed to the topic and price, get the article written and published. Bear in mind the average guest post cost is around $350 or £250. Alternatively you can agree to send product samples to guest bloggers to review your products. Most will charge you a fee for writing an editorial and a link back to your website. As previously mentioned earning links to collection pages is very difficult. So a guest post arrangement is almost a guarantee of a link; make sure you come to an agreement on the collection page they link to, the longevity of the link and ensure the link is a do follow link. What is social media link building? With social media link building you promote a useful resource to influencers on Facebook and Twitter. Sign up at Quuu Promote. Pay $40 to promote one of your blog posts. Select a channel interest to promote to. Bloggers who curate content share your content via Facebook and Twitter. Your post gets shared, liked and clicked on. Reaching these large audiences will generate natural links. This company offered a scholarship prize fund. They know colleges and schools like to provide students with details about scholarships. They created a page, a fund amount, an application process and a reward. So far they have generated 54 educational links. Duplicate content is one of the biggest seo issues with Shopify stores and most owners don’t even know it occurs. Duplicate content occurs when you create another collection and add the same products to that collection. I like to use the Ahrefs Site Audit tool to detect duplicate content and other seo issues. You can manually check for duplicate content issues with a visual check by entering site:domain.com into Google and see if page titles look the same. Go into Google Analytics, select Acquisition, Search Console and Landing Pages. Set the data range to the last 12 months. Select Advanced, select Clicks from the Acquisition dropdown and then less than 1 from numbers box. This will identify all pages with less than 1 click in the past year. Then use a backlink checker to see if these pages have any backlinks. You can do this in Ahrefs. If the pages have no organic traffic and no links, then add a no index instruction to those pages. A canonical tag, in plain English, tells Google this page is the same as that page. When have a lot of products in a collection and they spill over into 2 or more pages, page 2 and onwards become duplicate pages. So you need to set up a canonical instruction to tell Google page 2,3,4 are the same as page 1. Additionally, you will want to have a canonical instruction to tell google that your / home page is the same as /index.html. The easiest solution to add canonical tags is to use the Site Manager and NoIndex app mentioned above. What are junk pages in Shopify ? As your Shopify store and business grows over time you start to accumulate hundreds of pages. Junk pages are pages that earn no organic traffic or links. These could be old blog posts, old press releases or company news. Why do I need to get rid of junk pages? You only want to show Google your best pages and making Google go through through every page on your website is giving their crawlers unnecessary work. When you add a no index instruction to a page it is not included in your sitemap that Google crawls. I recommend doing a full Shopify SEO site audit to determine pages to no index. Then use the Sitemap and NoIndex Manager to no index pages. Alternatively, you can add<meta name=”robots” content=”noindex”> to the html view of a page or collection. Every website will be uniquely different in terms of pages to noindex hence the brief instructions. Damn, that’s a lot of work ! SEO is not a quick fix to traffic like advertising. But if your business is here to stay for the next 3 to 10 years, you should seriously invest in SEO. Working on a SEO project ? Enter your name and email to download my Shopify E-commerce SEO Guide to earn more Google traffic.